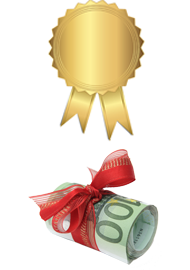 IBM: You Pass We Pay - Certification Reimbursement! Skills drive increased profits and revenue which is why IBM created the You Pass, We Pay (YPWP) certification reimbursement benefit, available with purchase of value package. Through this unique offering, you can effectively offset the expense of building your technical skills. Certifications assist you in achieving a higher program level in PartnerWorld, therefore, gaining access to increased IBM benefits. Certifications are also one of the elements required for authorization to resell IBM software products within Software Value Plus (SVP) controlled distribution. YPWP reimburses for the published base price of your tuition and test fees when you achieve eligible certifications. Only courses and assessments listed on the You Pass, We Pay Reimbursable Certifications list are eligible for reimbursement. The list is being updated quarterly which allows more flexibility in the program as new certifications come to market regularly. The maximum amount of your reimbursement benefit is determined by your membership level. For more details about the program please visit this section in IBM PartnerWorld or contact us. Please note that you can't use the You Pass We Pay Program for IBM Systems & Technology Training or Certification. Please request training vouchers from your Systems & Technology or Channel Contact in IBM.